Boring. Flat. Torturous. The Walking Dead. Apathetic. Pathetic. Need I go on? That is what that debate last night was. All the print media this morning are claiming that Clinton nailed it. Nailed what? Propagandic lies? What a bunch of horse manure. Both Clinton and Sanders are revising history as they go - just pure fabrication. Donald Trump got more attendance live-Tweeting the debate last night than the debate did. In fact, I can't find anywhere just how many attended. It must have been very, very bad. The attendance was the first thing you saw on the Republican debates. 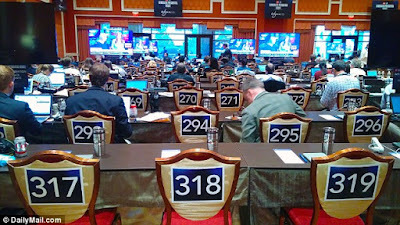 Only 61 out of 354 seats for the press were filled. Not even the local press showed, much less national and international. They didn't want to die from sheer boredom. I lived in Vegas for over 20 years... drag queen shows had far better attendance. In fact, I'll bet that's where a lot of the Dems were. That and the Bunny Ranch. Bill Clinton was in Vegas, but didn't attend the debate. Any bets where he was? Unless the vote is entirely rigged, the Republicans are going to stomp all over the Democrats in this election. That is unless they deliberately hand it to Clinton. This was the scene inside the press filing center at the first Democratic presidential primary debate just an hour before the event began. Empty seats. Lots of empty seats. In all, 354 numbered seats were set aside for journalists at the Wynn Hotel and Casino – not in the debate hall, but in a separate ballroom lined with TV monitors and flanked by snack tables. 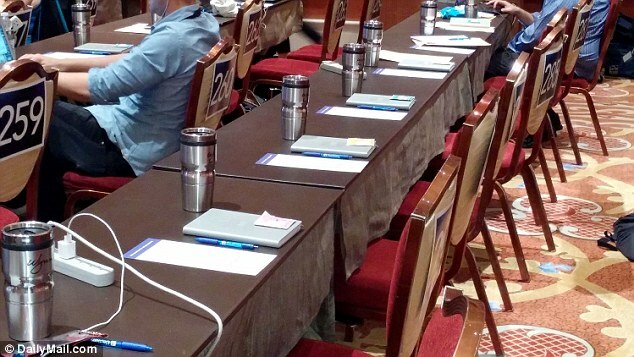 But two-and-a-half hours after the hard deadline for reporters to check in, 61 of those seats lay undisturbed, with the CNN- and Wynn-branded swag remaining neatly lined up where staff had placed it. 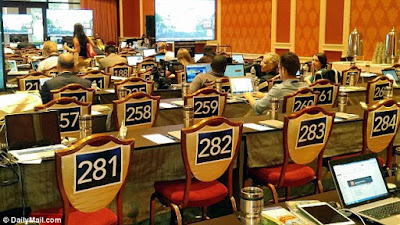 Journalists on the scene with three separate media organizations said, also on background, that they had been offered more seats in the filing center than the number of reporters they brought to Sin City. None of them would allow their names, or the names of their news organizations, to be used in print. 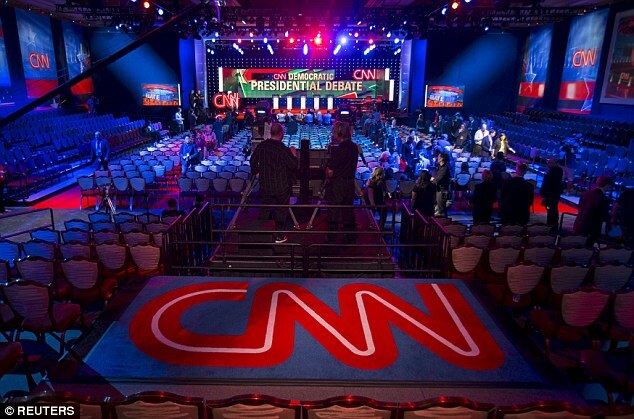 After a pair of Republican debates that brought TV audiences of 23 and 24 million viewers, CNN has conceded that expectations for a repeat perfomance are low. The elephant who's not in the room – Donald Trump – could explain the dramatic difference between the two vibes. 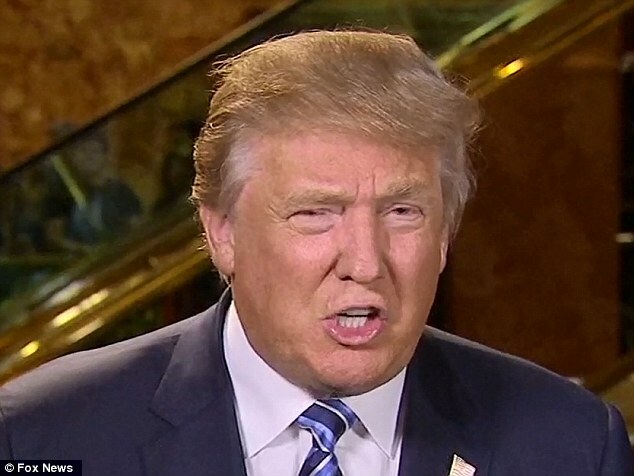 Trump himself plans to live-tweet throughout Tuesday night's debate. 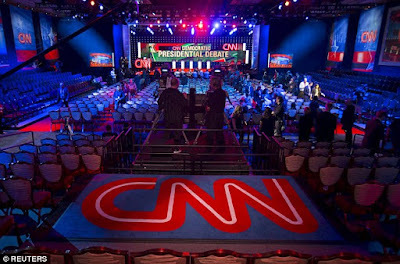 DailyMail.com was present at the first two Republican debates, in Cleveland, Ohio and Simi Valley, California. Both events drew complaints on-scene from journalists who were denied entry because of overcrowding. For those who don't know, Vegas is a Democrat town. The mayor is a Democrat - big time. The fact that there weren't thousands demanding entrance says something. Sanders drew 20,000 in LA... I wonder why he didn't have numbers in Vegas? Unless his rallies are somehow rigged by the Democratic Socialists of America. I wouldn't be surprised. Clinton can't fill a supply closet. Biden is in the mist somewhere and no one knows what gives with him. There are a lot of gays and feminists and liberals in Vegas... what happened? I'll tell you what... it's too boring even for them. Plus, the candidates just aren't radical enough I guess. They also didn't get the living dead and vampire vote in Vegas - bummer. Trump, Carson and Cruz are all beating Hillary hands down. The media is waxing poetic this morning on how wonderfully Clinton did, but I have one question... if a Marxist shrills into an empty forest of chairs in Vegas, does anyone hear them? Or give a crap? Trump believes that Hillary won this snooze fest, but a Drudge poll tells another story. The geriatric, authentic socialist won. Bernie Sanders was perceived as the winner hands down. And if you really want to get grossed out, look no further than Joy Behar, who is hot for Sanders. He arouses her. May I just say, ewwww! I knew she was sick and twisted, but come on. It must not take much to turn a commie on. The real winner of the debate was Donald Trump, who got more attention than any of the lame donkeys in Vegas. That guy gets more free air time than anyone I have ever seen. It's brilliant. That went triple for the miserable parade of hypocrisies that was the Democratic debate where a gaggle of establishment political hacks claimed to be the voice of political change and where men and women whose combined net worth could break banks ranted about the rich in a debate hosted in a $2.7 billion dollar luxury resort and casino with its own Ferrari dealership so that the candidates can take a break from their income inequality spiels to test drive a 2015 Maserati GranTurismo. The Democratic debate only ran hours, but it seemed to last for years as the Democratic Party’s crazy Socialist grandpa Bernie Sanders nervously waved his hands, struggled to follow the answers of the other candidates and talked about himself in the third person. Sanders’ support comes from his authenticity and he was certainly authentic tonight promising to make Americans love Socialism, claiming that Global Warming was the greatest national security threat and warning that the planet will soon be uninhabitable. At one point he began talking about what has been happening to the middle class, then he paused having forgotten what it was the middle class was doing, and then he remembered his line. It was “disappearing.” Much like the middle class of Socialist states like the USSR, Cuba and North Korea. And so Democrats learned that they could vote for Hillary because she’s a woman, vote for Bernie Sanders to stop the government from putting potheads in jail, vote for O’Malley because he used a dozen Crest whitening strips on his teeth or vote for Lincoln Chafee because he’s a block of granite. They could vote for Jim Webb, but he’s disqualified because he can find Syria on a map. “In a world of thieves, the only final sin is stupidity,” Hunter S. Thompson also said. But in a party of stupid thieves, stupidity isn’t a sin. It’s a virtue. They've got the moron vote locked... and the slacker vote. Looks like it's up to the rest of America to make sure these Marxists don't somehow slither into the White House. They'll tax, regulate and bore us to death. That's if we don't get invaded or nuked first. Death or cake? "Unless the vote is entirely rigged, the Republicans are going to stomp all over the Democrats in this election." Umm no. The outcome of the last two elections was P R E D E T E R M I N E D.
And, the country has already fallen. Get you a clue girl. Anything can happen. Anything WILL. They are not deterred. Not in the least. Ooond they have help. Lots and lots of help (can you say GOPigs?). Evil is here. Not words. Reality. Sick. Deranged. Not fiction. And ..... things are only going to get worse. Debate? Watch it? It's all Koolaid (and or biz as usual). I'd rather smoke crack with Lamar. The country is not going to get out of this alive. Few have the slightest idea, how bad things are. You accidentally inverted the numbers for journalist attendance: 61 seats were left vacant; not vice versa. Interesting article. Thanks for the insight from someone who lives there. That you do indeed want to CONFISCATE our guns. This is all fine and dandy with many of us – we find your new found honesty about your Socialist ideology and a love for gun Confiscation to be quite refreshing as of late, but I digress…. Perhaps you and your comrades have underestimated the people, that we weren’t paying attention and didn’t notice this egregious blunder on your part.. sorry to break the news to you, but we did. And with Al Gore’s creation of the internet, we can spread news of this far and wide. So the cat’s out of the bag and you ought to acknowledge the truth for all time. None the less, I do have some more pressing matters to discuss with you on guns and your obsession with stealing them from us. Let me make a few things perfectly clear to you . 1. You can forget for your statist fantasies about controlling our Private property through Intergalactic Background Checks. You people barely have the authority to control this over state lines with the atrocious Wickard V. Filburn decision, but you surely DON’T have the authority to control my private property and my selling something to a neighbor down the block. But go ahead and get another ruling that one again rips apart the founding documents and the rule of law. As a nation we’re getting mighty close to not given a flying fornication what 9 citizens on the supreme court have to say on this or any subject. So keep pushing the boundary boys and girls, one of these days we’re going to ignore your rulings like you ignore the rule of law. 2. We aren’t Registering Diddly Squat with you people. Never mind that history has shown the sequence to be registration, Confiscation, annihilation..
Never mind that you have already admitted that is just an incremental but necessary step to confiscation. If you doubt our resolve on this point, may I to refer you to the socialist red state of New York and other environs who have steadfastly refused your Stalinist dictates. No, we don’t need your Permission to defend ourselves – We already have that, thank you very much. So you can stuff your tyrannical dreams of registration where the sun don’t shine, It’s not happening. 3. And we for dang sure aren’t going to let you confiscate our means of defense from a tyrannical government. But that should be obvious to you by now. So go ahead and knock yourself out passing all manner of new laws and regulations, or new supreme court case that trample on the very documents you swore to protect. You people have very capably demonstrated the art of ignoring the rule of law, and if you can do it – SO CAN WE THE PEOPLE!